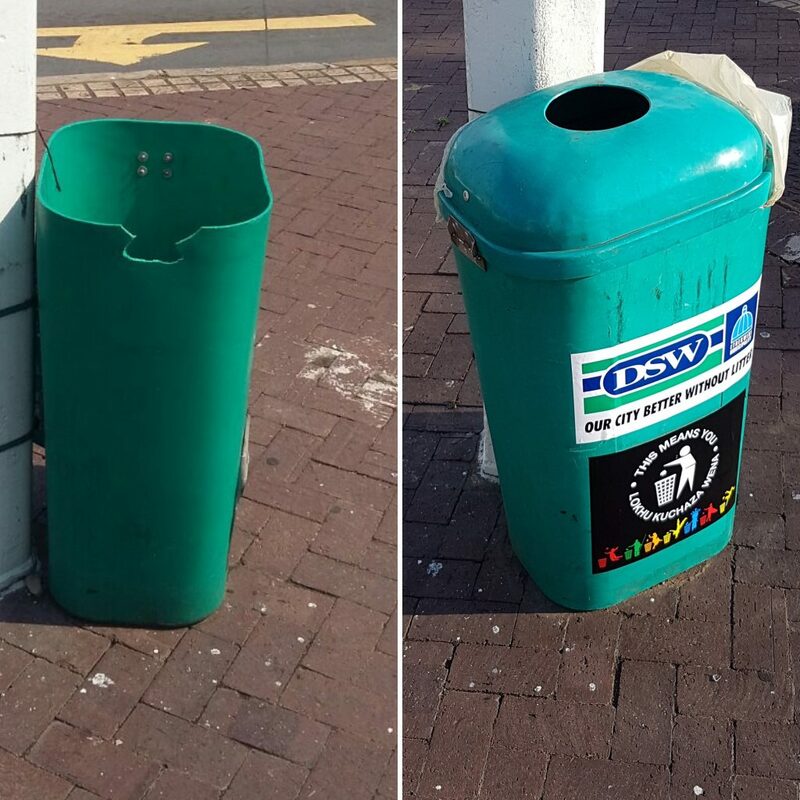 Durban Solid Waste were on Florida Rd this week repairing all the public space dustbins. Bins were re-attached to the poles and lids were replaced or repaired. Thanks to the DSW team for their efforts in helping us maintain Florida Rd.